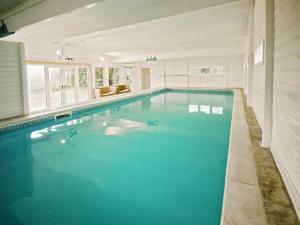 Oats is a holiday home with an outdoor pool, situated in Harberton. The property boasts views of the city and is 16 km from Torquay. Free private parking is available on site. There is a dining area and a kitchen complete with an oven and a toaster.